Man, good happy hours with easy parking are hard to find, but with Eastside Tavern, everything is easy-peasy, delicious, and, best of all, cheap! 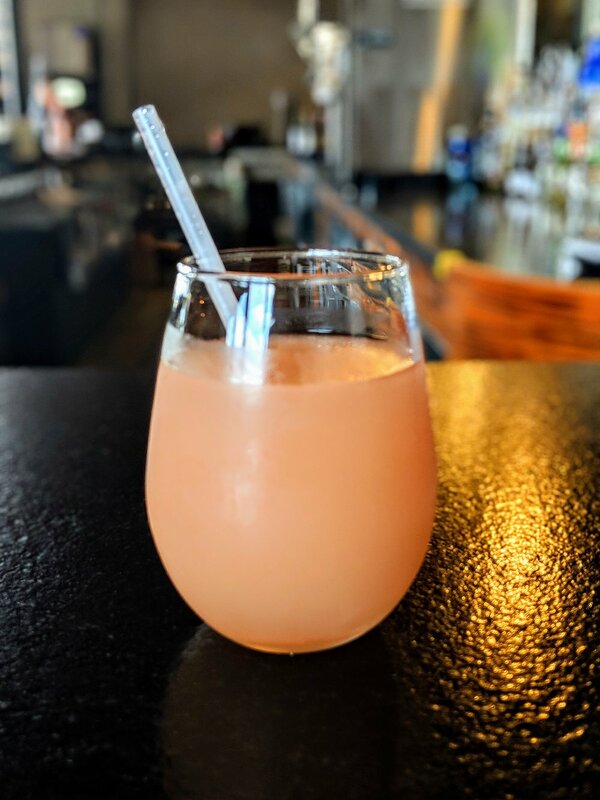 While Tuesdays are all-night happy hour, I headed to the East Cesar Chavez barbecue/bar (RIP Top Dawgs) on Thursday for $5 frosé night, but their normal happy hour is pretty darn dope! From 3 to 6 p.m. Monday through Friday, you can enjoy $4 craft beers, well drinks, and house wines by the glass, along with the aforementioned $5 frosé. The food menu is pretty crazy too, y'all! For a mere $6, you can get smoked chicken wings, chips and queso, pickled deviled eggs, corn dog bites, or Frito pie. When I went, I jumped at the Frito pie, which comes in a skillet topped with chopped beef, pico, and so much queso. Because I'm a little fat kid at heart, I also ordered a side of mac 'n' cheese (sadly not on the happy hour menu), which was just how I like it--super creamy and cheesy with perfectly cooked noods and a slightly crispy topping. I hate a dry mac, and this was anything but. Although, I probably should've considered my cheese and carb intake, because dang that Frito pie was MASSIVE. Thankfully, the frosé was super refreshing and cut through all that fat nicely. I hate when places muddle down rosé with too much other stuff. Just let the wine flavor speak for itself! This one was definitely perfect for a 100-degree day. Where are your favorite frosés in town?